We are instrumental in offering a wide range of Air Conditioner Energy Saver to our clients. 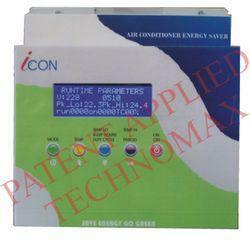 - We offer high quality range of Air Conditioner Energy Saver. - Operating voltage / Supply voltage: 230 volts Ac, 50 Hz. - Rated load: (1) AC - 2 tons, (2) Lighting load: 500 watts. - Detection range: 90 degree x 11 meters at 2.1 metres height. - ON time: 1 minute to 30 minutes. Power instability with changing modern lifestyle creates a need for alternative power sources. Most residential and commercial complexes opt for automatic solutions to get 24x7 power. Waders MACC 110 series timers, are Advanced Energy Conservation System, that is designed to control 2/3/4 Air Conditioners, at places where temperature maintenance and energy saving, is of utmost importance like Mobile/Telecom Shelter (BTS), ATMs, Laboratory, offices etc. Teplo Air Conditioner Energy Saver devices at most economical prices. Precisely designed using real time clock , which offers nonvolatile memory, these devices assures optimum performance without power interruption, reprogramming and manual intervention. Saving power up to 20 %, these devices are installed with automated switch “off programs. 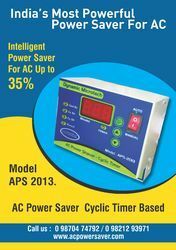 Install power saver & save ur 30% electric bill.100%Govt.Appr. Ecoplug Air : World's Most Advanced Energy Saver for ALL Air Conditioners.